President Donald Trump asked then-FBI Director James Comey to shut down an investigation into the actions of former National Security Adviser Mike Flynn a day after Flynn’s ouster, according to a New York Times report Tuesday. The memo appears to provide direct evidence that Trump tried to influence the FBI’s investigation into links between Trump’s inner circle and Russian officials. 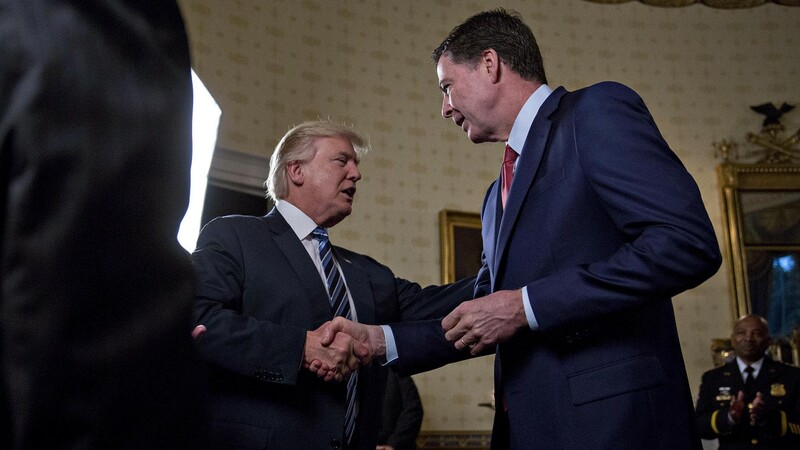 According to the Times, Comey wrote memos after every meeting and phone call between him and Trump to provide a paper trail of Trump’s attempts to influence the investigation, and shared them with top FBI officials. Flynn was forced to resign Feb. 13 after it was revealed that he had lied to Vice President Mike Pence about contact with Russia’s ambassador to the U.S. The investigation into Flynn’s Russian ties continued after his resignation, and last week there were reports that business associates of Flynn have been subpoenaed by federal prosecutors. The Times also reported that in the same meeting with Comey, Trump said journalists should be imprisoned for publishing leaked classified information, despite a Supreme Court ruling that allows publication of such material. Separately, Reuters reported Tuesday that two top candidates to replace Comey at the FBI — Judge Merrick Garland and Sen. John Conyers of Texas — have indicated they do not want the job.